Author RLL. came up with the idea of exchanging 20 questions and answers that relate to reading or writing with fellow bloggers. RLL. presented this in the context of Read Tuesday, yet the idea would help to spread literacy, encourage reading, and connect book lovers together in any context. Check out RLL.’s original 20 questions by clicking here. These are answered by author Stephanie Stamm. Consider contacting RLL., Read Tuesday, or other bloggers, who may be willing to post your answers. See 20 more sample questions below. Try to find book lovers who’d like to answer 20 questions about reading or writing and have their answers posted on your site. Do 20 questions sound like too many? Choose 10 or 5 or 1. Don’t feel like contacting others? Answer 20 questions about reading or writing and post them on your blog. If you’d like to help support Read Tuesday, feel free to mention it briefly with your post, link to the Read Tuesday website, or include one of the Read Tuesday images. Any support is greatly appreciated and will benefit many readers and authors. However, you’re also welcome to participate in 20 questions about reading even if you don’t wish to mention Read Tuesday. It’s totally optional. Ideally, a brief explanation would accompany the answer. RLL.’s blog can be found by clicking here. 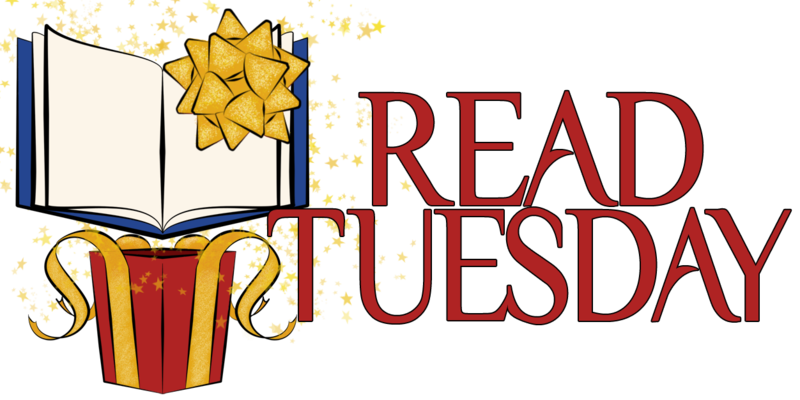 Click here to see RLL.’s post about Read Tuesday and click here for RLL.’s 20 questions with answers by author Stephanie Stamm. RLL. also has questions by other authors; just check out RLL.’s blog. Are you an author who would like to participate in Read Tuesday, a Black Friday type of event just for books, on December 10, 2013? If so, click here. Of if you wish, simply send an email to chrism@chrismcmullen.com. Reblogged this on Feed My Reads South Africa.